Environment Texas, a statewide citizen-based environmental advocacy group, hosted a fracking action camp Sunday, March 16th,through Monday, March 17th. Sunday attendees traveled south through Gonzales, Nordheim and Cuero, Texas, to visit the Eagle Ford Shale, one of the largest shale plays in the United States. The landscape is dotted with well pads, drilling rigs, cranes, flares, storage tanks, waste pits, pipelines, pipeline pumping stations, 18-wheelers, mobiles offices, fences, surveillance cameras, and RV man camps. While some residents have made millions off of royalties from oil and gas leases, others are seeing their property value, health, and the integrity of their land decline. Halfway between Yorktown and Nordheim, attendees met up with resident Lynn Janssen and were able to ask her questions. Janssen’s land has been in her family since her grandfather bought it in 1897. Mrs. Janssen and her neighbors are organizing to stop two large disposal pits from being put next to their property. Their growing concern is about the health consequences of living near a disposal pit for an extended period of time, due to air pollution and water runoff. Some of these health consequences concerning citizens of Nordheim are air pollution from chemicals and volatile organic compounds (VOC) like benzene, toluene, and xylene. VOS’s are known to cause cancer, and many times are emitted into the air by the practice of flaring. There is also concern with the toxic chemicals found in fracking fluid. 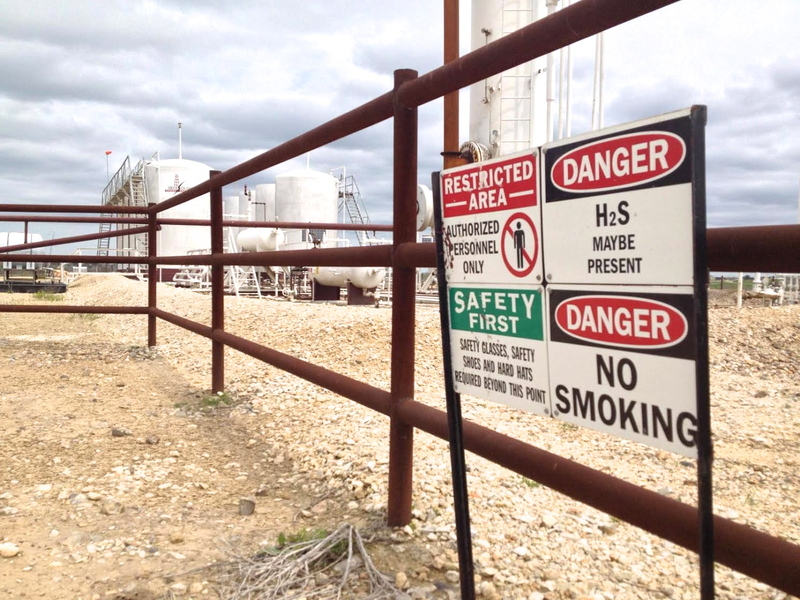 However, an even bigger concern is hydrogen sulfide gas, which is deadly in high doses and abundant in the Eagle Ford Shale. Attendees looked at foam boards filled with maps and disposal well locations in Janssen’s garage. Mrs. Janssen explained some of the pictures on the boards were from 1.1-inch of rain that, in an hour’s time, had streamed from the property designated for a disposal pit site onto her property. One map that has citizens and Mayor Kathy Payne’s attention is the waste pit sand disposal well that has already been permitted and is under construction, which sits 150 feet from the city limits sign and the high school in this small town. The mayor is continuing to fight for the air and water for this small community, but it’s an uphill battle. On Monday, March 17th, attendees met up with Irma Gutierrez, the Director of Outreach for Congressman Pete Gallego, at the Congressman’s office in San Antonio, TX. This gave attendees an opportunity to speak about the issues associated with fracking and what they witnessed the day before in the Eagle Ford Shale region. It also gave an opportunity to lobby an elected official and understand the importance of lobbying. Attendees spoke about the billions of gallons of fresh water being used in Texas fracking, at a time of drought. The toxic wastewater, which is laced with cancer-causing chemicals is a concern in fracking communities. The CLEANER Act (HR 2825), a bill by Representative Cartwright (PA), would close the loophole that exempts fracking from the Clean Water Act and Safe Drinking Water Act and protect communities from toxic fracking waste by regulating it as hazardous. As reported by The Weather Channel, InsideClimate News and the Center for Public Integrity, air quality is another major concern in the Eagle Ford region. Toxic air emissions from fracking in the Eagle Ford Shale have doubled since 2009, and air pollution from fracking threatens to push San Antonio out of attainment with the Clean Air Act for the first time in history. 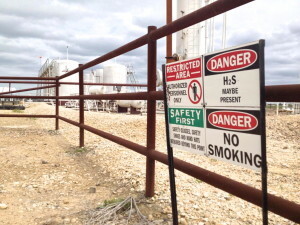 Its no wonder that communities are feeling the negative health and environmental impacts of fracking, given how many exemptions the industry enjoys from our environmental and public health laws, including the Safe Drinking Water Act, the Clean Water Act, the Clean Air Act, and our nation’s hazardous waste law, the Resource Conservation and Recovery Act (RCRA). The fracking boom in the Eagle Ford Shale has changed communities and altered landscapes. Production in the Eagle Ford Shale had already reached over 1 million barrels per day (bpd) in August 2013, and it is expected to continue expanding as more wells are drilled. Many residents are concerned about the long-term impacts to their health, water, and communities, after the fracking boom goes bust. 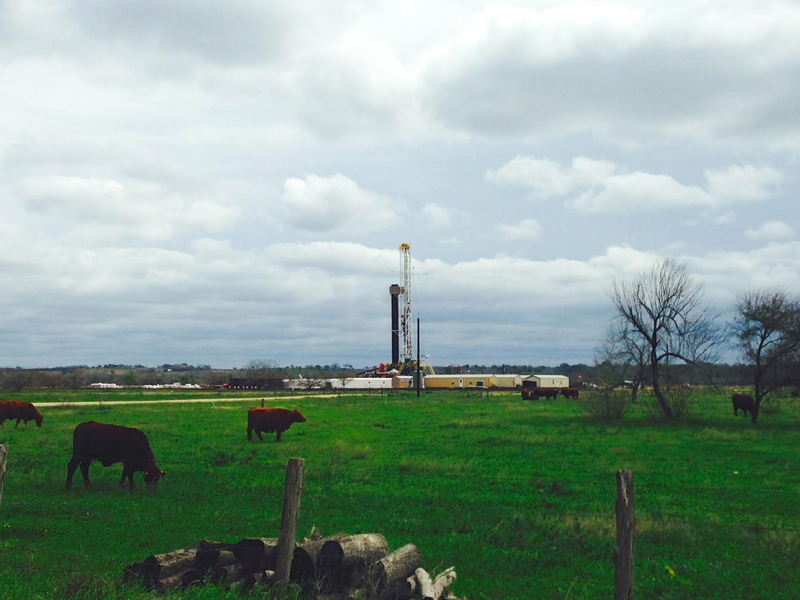 The fracking boom in the Eagle Ford Shale could be a disaster in the making.